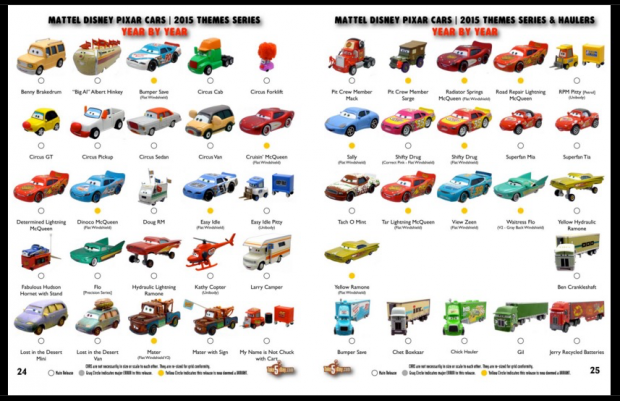 If you’re only collecting CARS 1 diecasts, the updated magazine checklist is HERE! 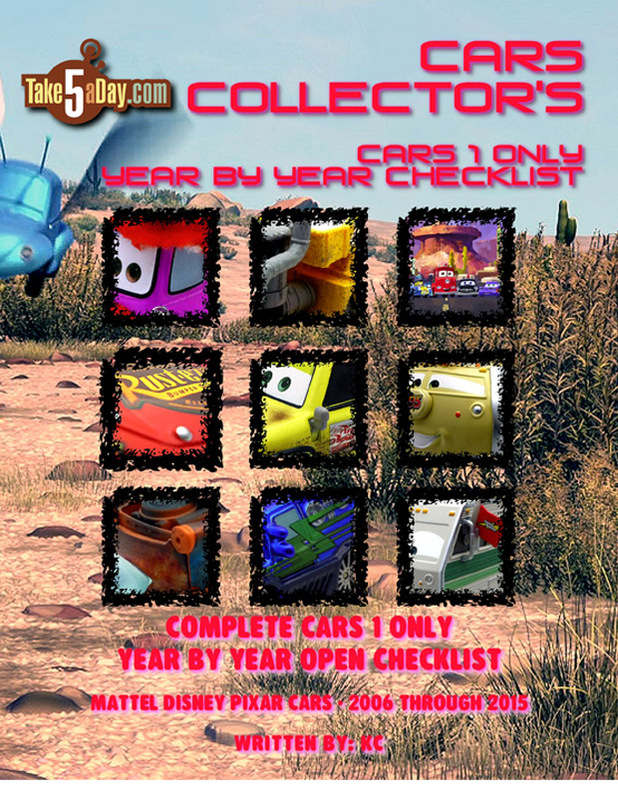 Every CARS 1 release from 2006 to 2015 is listed in chronological order including every major variant. There is even a one-sheet checklist of all 559 CARS 1 release through 2015. (Minus 85 if you did not collect the lenticulars that are the same as the regular releases except for the eyes). International shipping is available from MagCloud directly -when you order, they print one for you. 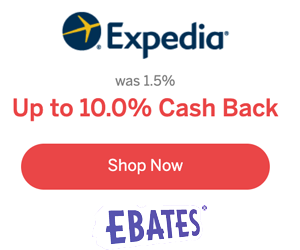 Thanks for your support of TakeFive with your purchase! Click on the link for a PREVIEW. The complete checklist update with CARS 1, and 2 is coming soon.